Karen Morton, founder of The Capability Company, is an experienced leader, manager, chair, facilitator, consultant and trainer, with a background in charity management and development. Karen has over 25 years experience of developing and running organisations and networks, having set up a number of women’s organisations in the ’80’s, as well as leading on various campaigns. 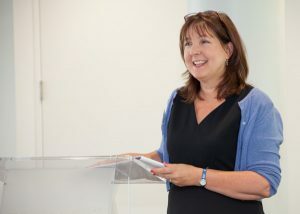 As Programme Director of Berkshire Common Purpose she designed and chaired a programme which brought together senior players from all sectors to learn how the world works at a local level, and as Director of Berkshire Women’s Aid she grew the organisation 7-fold. Since setting up The Capability Company, Karen has continued to deliver participatory and enjoyable training, and facilitate away days and residential events for organisations and consortia – Karen has facilitated over 100 events! She has also led on the development of two new national charities, Circles UK and Escaping Victimhood. Karen is a trained NLP Practitioner and coach. Karen has a rare and very valuable combination of skills. She has creativity and vision and a strong understanding of the bigger picture. But unlike many strategic thinkers I have worked with over the years, Karen also gives great attention to detail, applying her experience equally comfortably to governance, and the minutiae of protocols and procedures. I have seen the results of this in two organisations that have thrived under her guidance – Circles of Support and Accountability and Escaping Victimhood. She can be justifiably proud of her work!